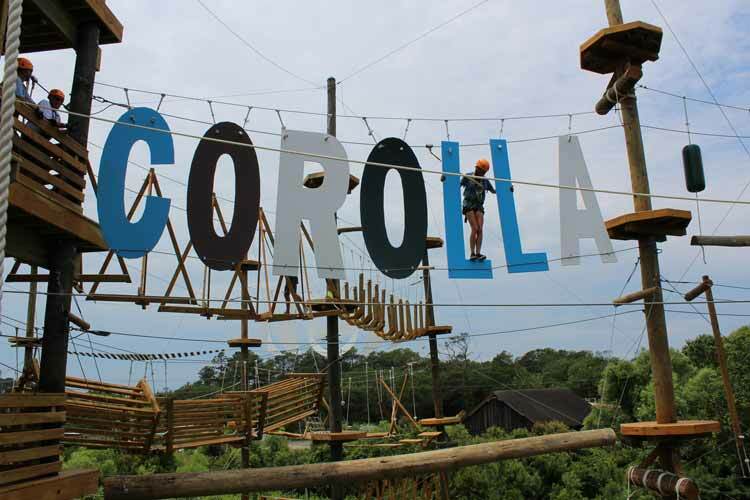 Corolla Adventure Park is designed for ages 5 and up and features climbing opportunities for all skill levels. 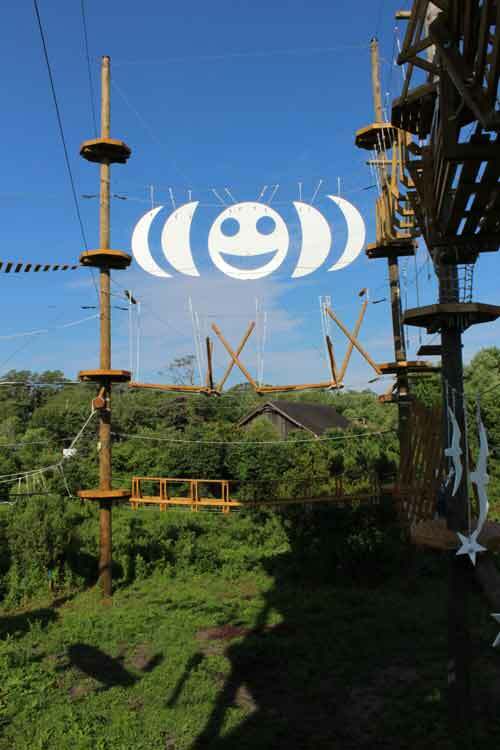 CAP is a design award winning ropes obstacle course where participants can maneuver between platforms ranging from 12 feet to 50 feet above the ground. 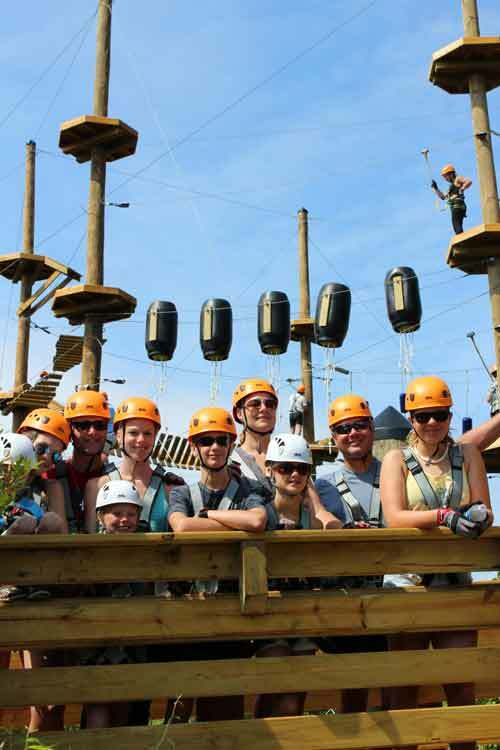 Climbers get to choose their challenge on a combination of easy, intermediate, and advanced obstacle courses. There are 3 obstacle courses on each of 3 difficulty levels with a total of 54 obstacles. The higher up you choose to go, the more difficult the obstacles on each course become both physically and mentally. Each level also features two optional zip lines as alternative paths back to the tower for a different thrill. All climbers wear a full body harness and helmet and are attached to our Saferoller continuous belay device while climbing. Our guides attach the climbers to this system and there is no “clipping and unclipping” required by our guests. Climbers may set their own pace and complete as much or as little of the course as they want to during their adventure. Course guides provide supervision, pointers, and physical assistance when necessary to make sure that all climbers have the best experience possible. 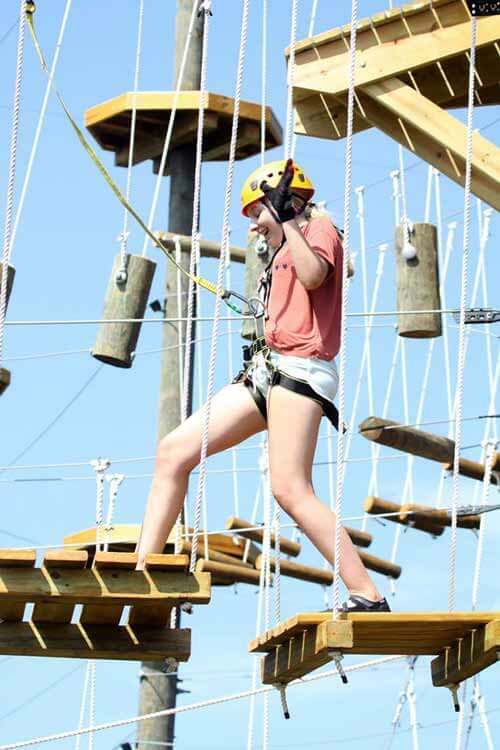 Corolla Adventure Park is the largest aerial adventure park on the Outer Banks and is nestled among a wetland ecosystem that they strive to preserve and enhance with the cultivation of native plant species, environmentally friendly business practices, and educational opportunities for visitors. It offers a bird’s eye view of the Currituck Lighthouse with views of the Currituck Sound and the Atlantic Ocean. Non-climbing observers can enjoy the shade of their covered porches or adventure out on the nature trail for more vantage points to watch the excitement. 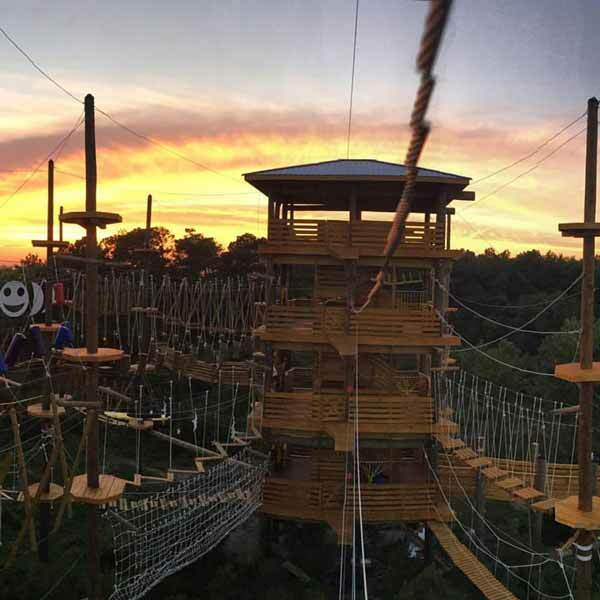 In 2017 Corolla Adventure Park was awarded the international ACCT industry award for best new design of an adventure park. Bring your friends & family, of all ages, for an exciting challenge and test your mental and physical limits. Come play on CAP!